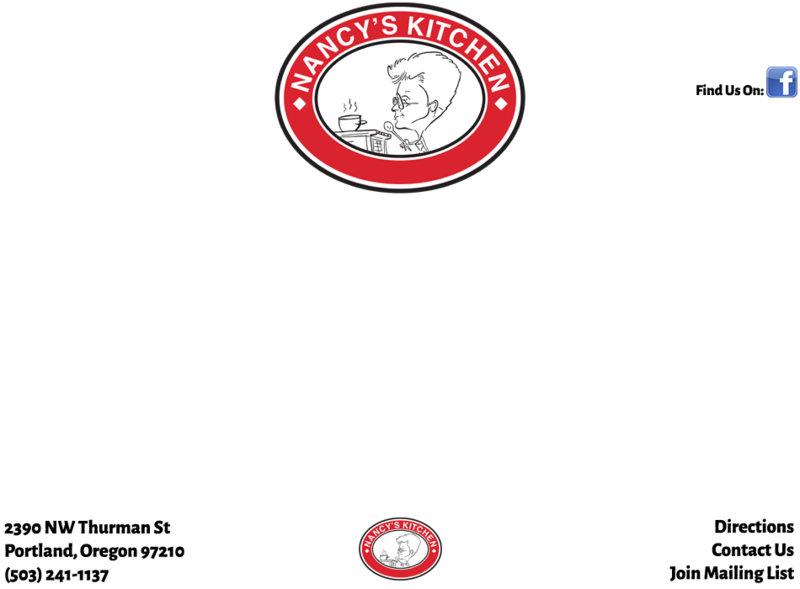 Nancy's Kitchen | Homemade All American Cuisine in Portland, OR! Breakfast: Tues-Sat 8:00am-11:30am. Lunch: Tues-Sat 11:30am-4:00pm. Sunday breakfast served all day. Closed Monday.